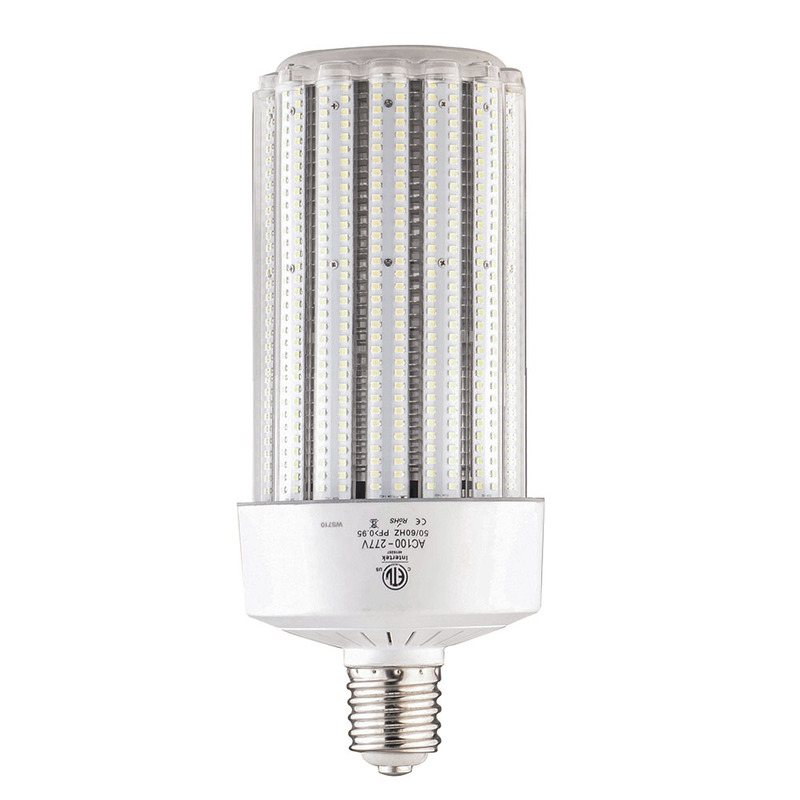 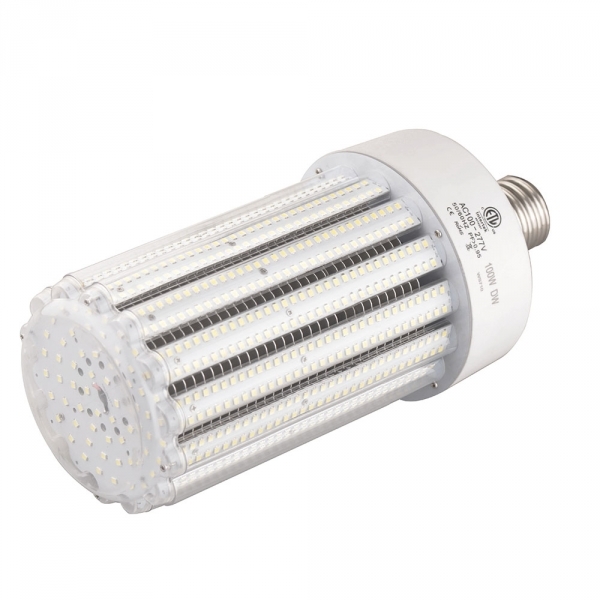 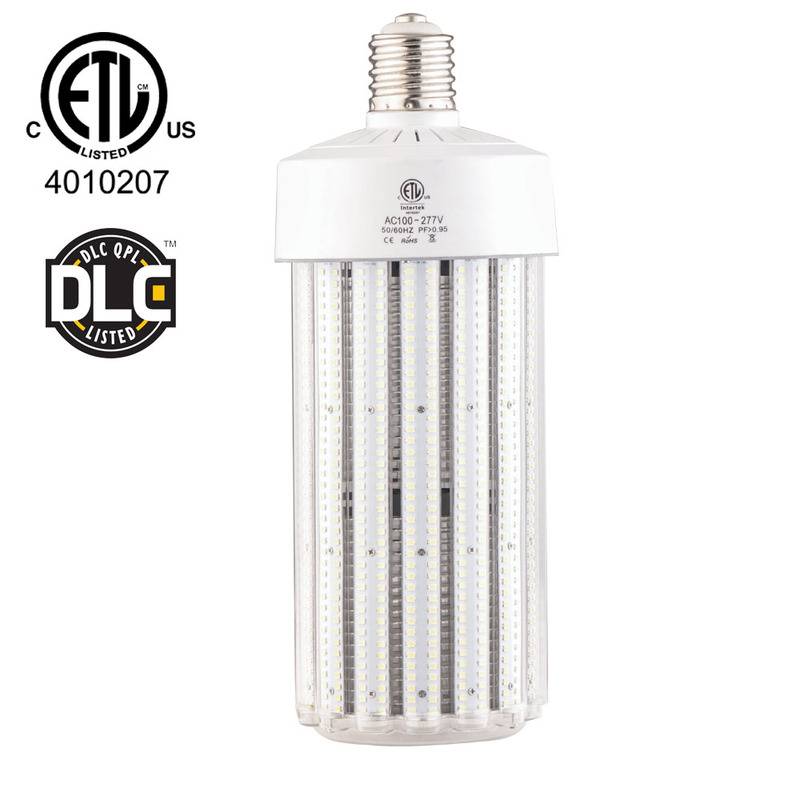 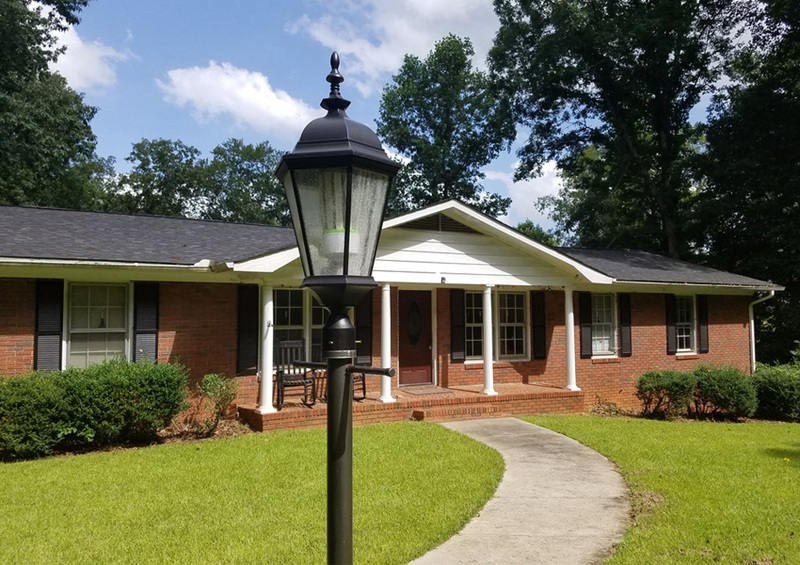 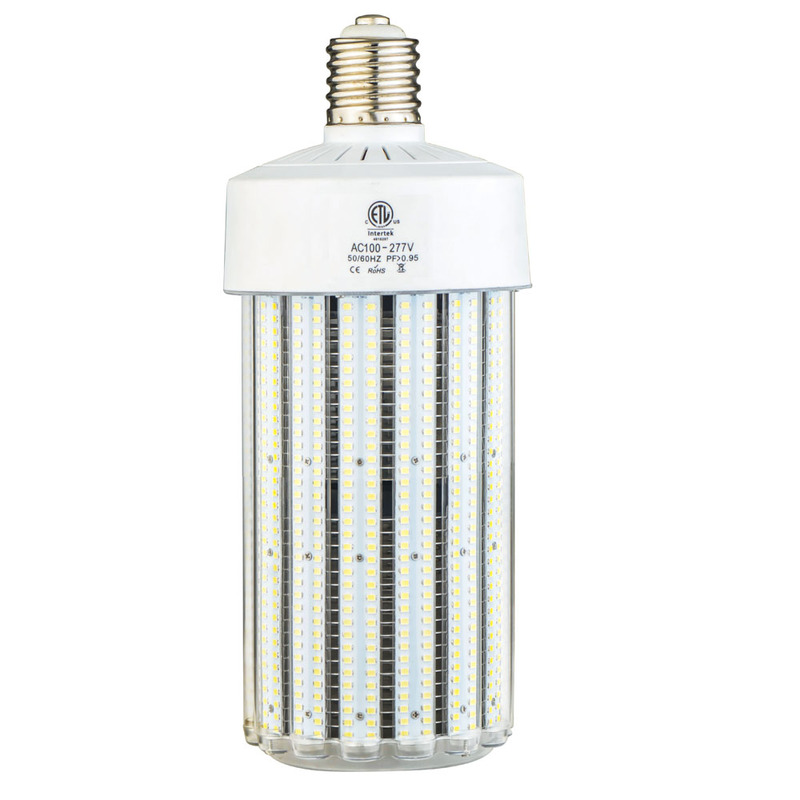 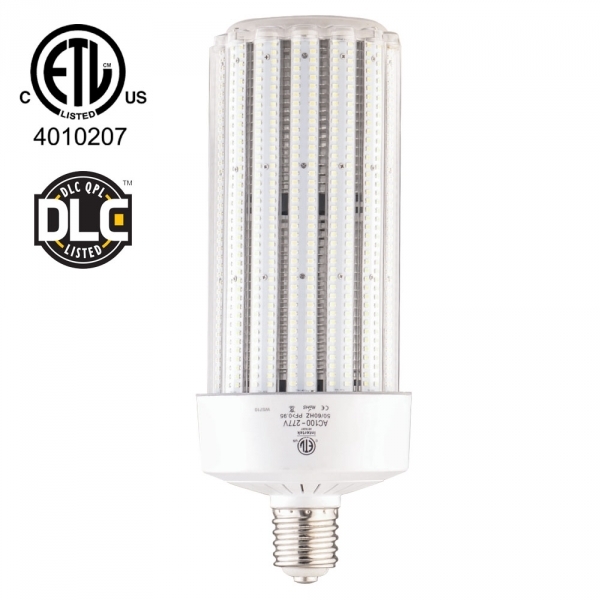 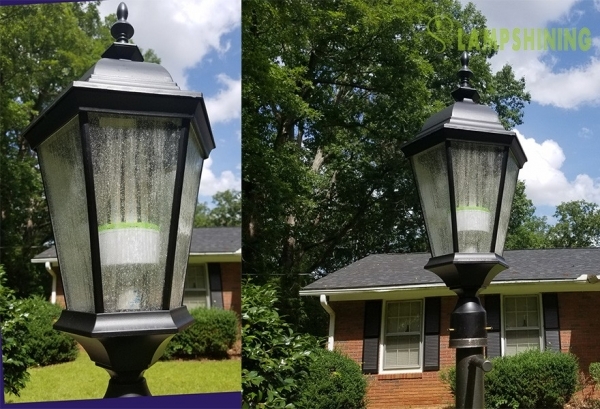 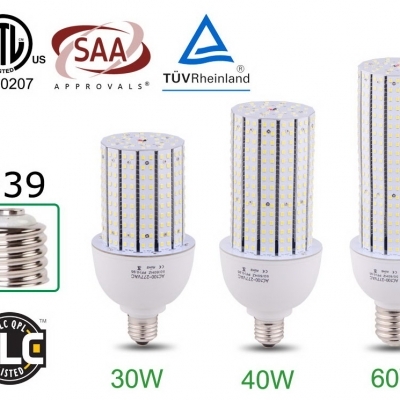 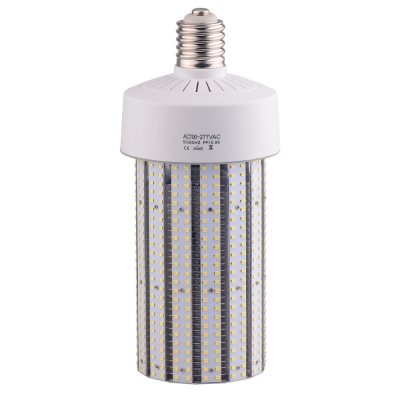 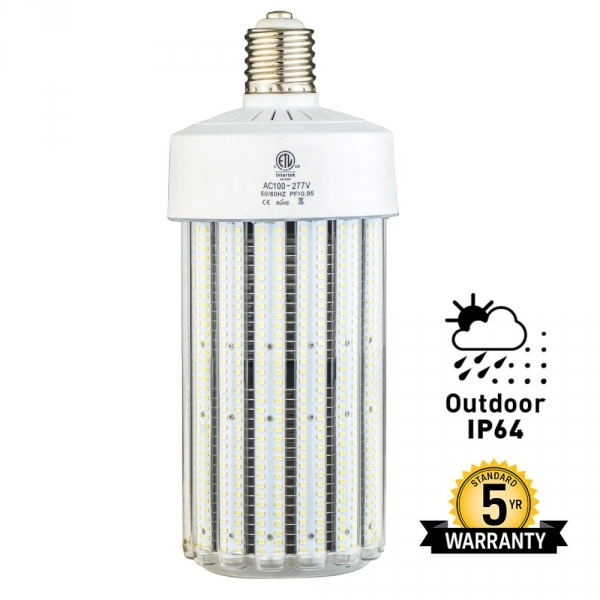 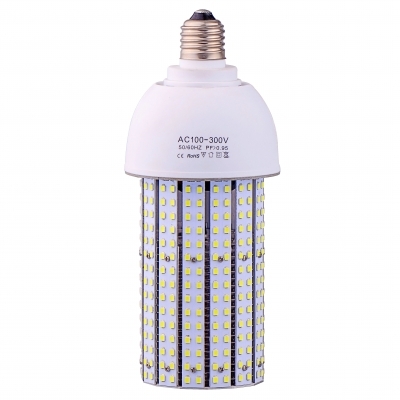 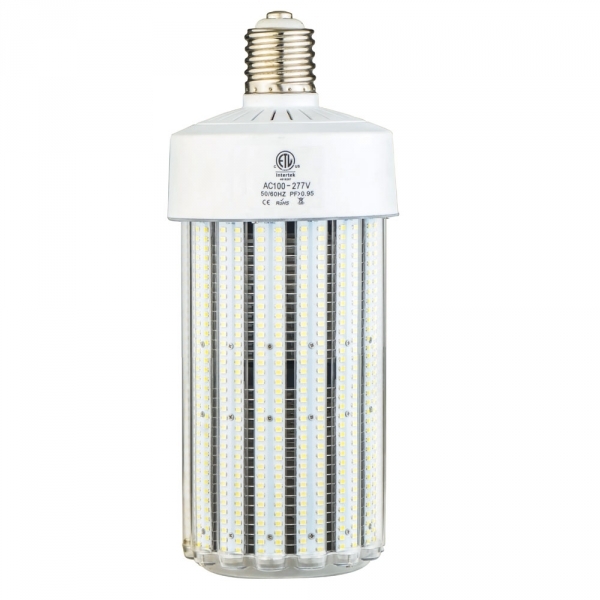 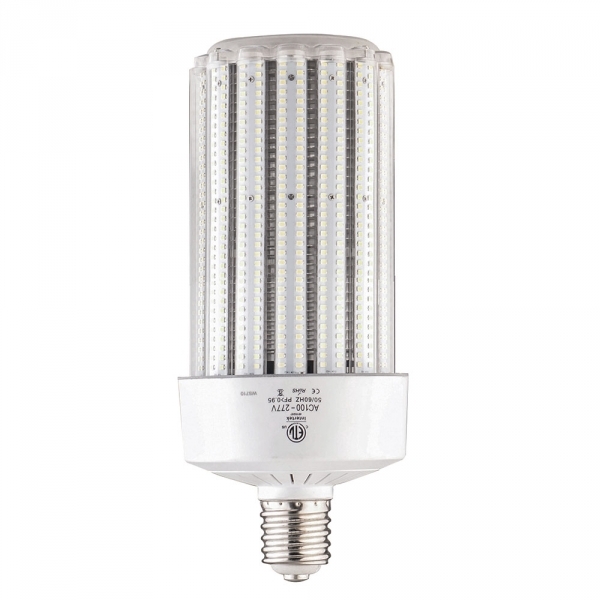 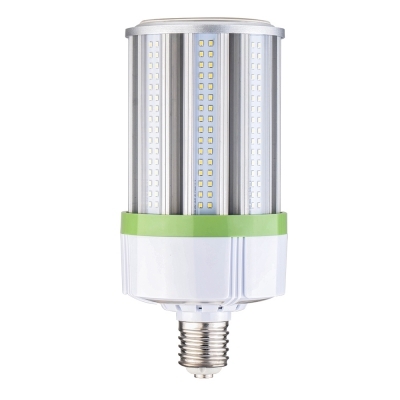 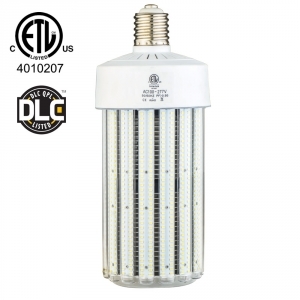 ETL DLC 120w Led Corn Light Bulb-E39 Mogul Base-5000k Bright White,Replaces 350w Metal Halide, HPS, HID E39 cap, 4000-5700k Daylight, 15000Lm, 100-277VAC Voltage, EPISTAR 2835 SMD LED, Excellent replacement and easily as good light output. 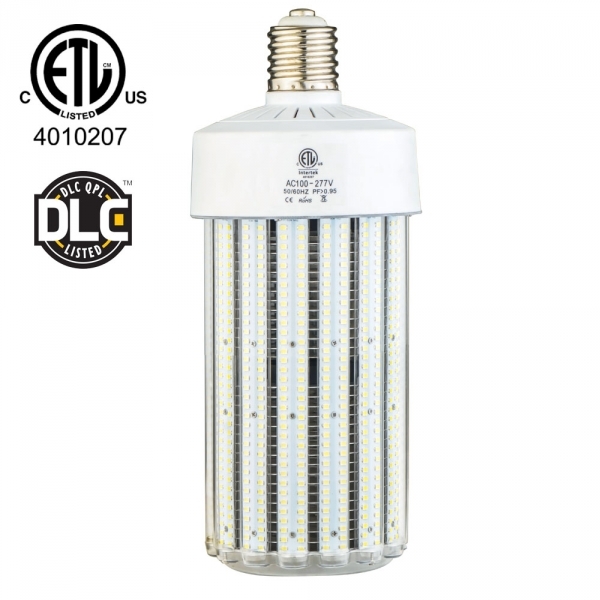 We have 400 piece Inventory so that can ship rightaway when order is place! 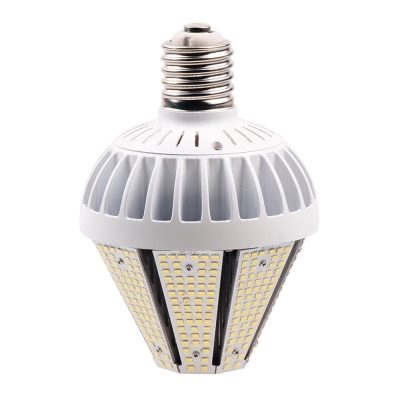 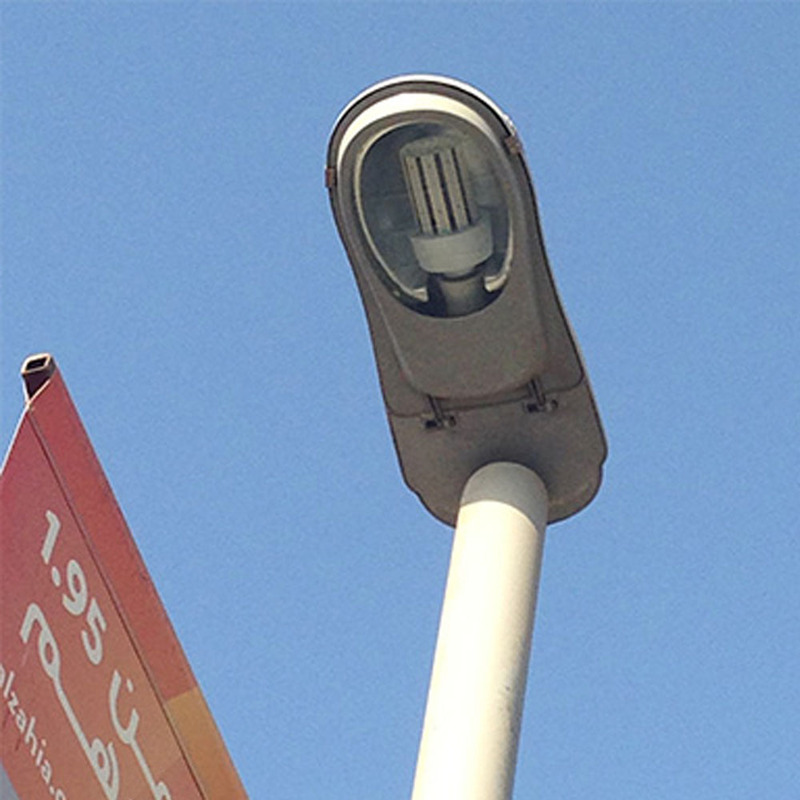 Application Replacement for lighting of commercial buildings, businesses, hotels; for retail stores, art galleries, sales outlets and shopping arcades; solutions for exhibitions, conferences and special events Residential LED Usages etc. 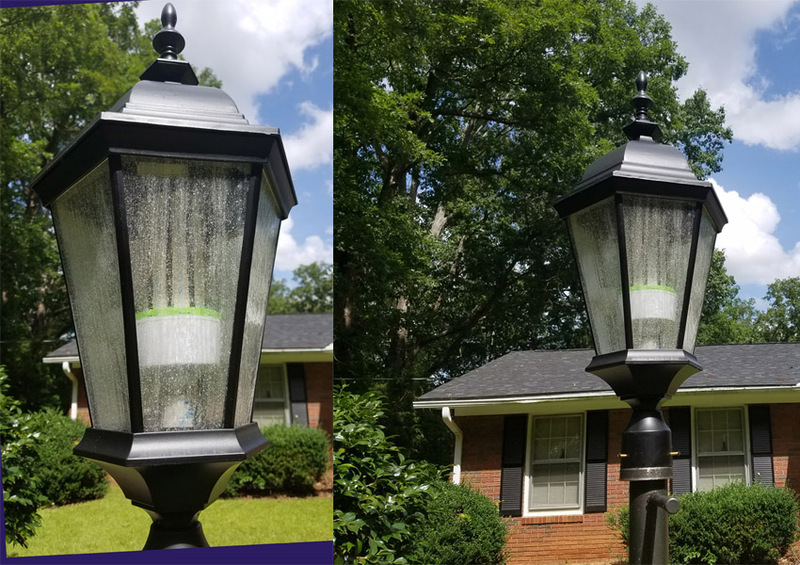 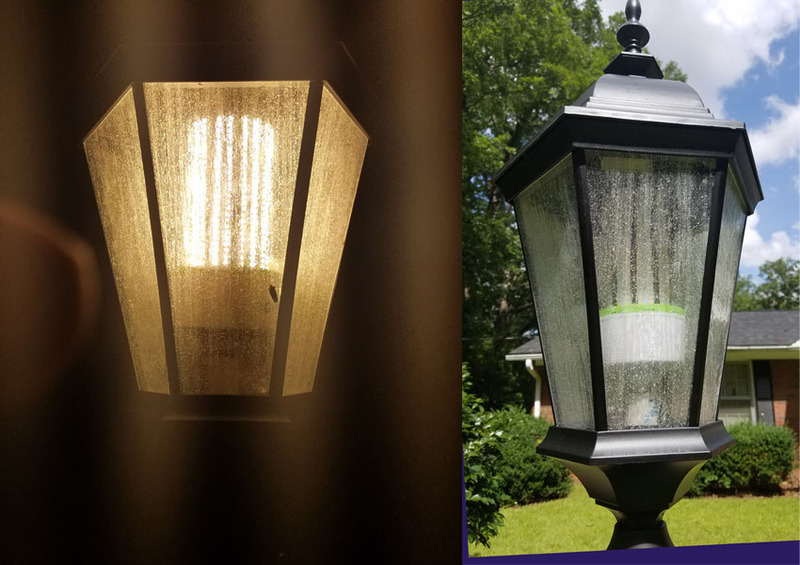 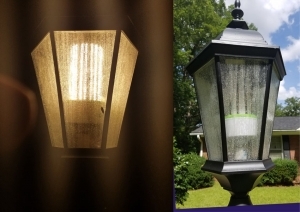 I do a lot in the garage and there is never enough light… so I decided to try this 120w corn light… I couldn’t be happier. It took a couple days to be able to avoid picking it up in your peripheral vision which causes little itty bitty spots like you looked at the Sun but like I said in a couple days you adapt. 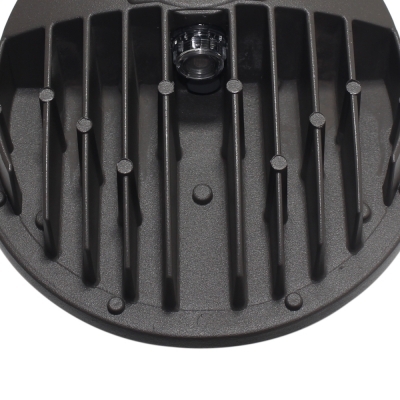 It takes about 2 seconds to fire up and has a quiet fan… neither of which are a big deal.